Well, not exactly strawberries, the fruit – rather, I have a certain aversion to strawberry-flavored things. It reminds me of one of my most dreaded things when I was a child – medicine. When I was a kid, I don’t really understand why most of my medicines then were strawberry-flavored. Even the worst anti-biotic suspensions – the ones which have a powdery feel to them, which would even stick to your throat at the risk of gagging you… Ugh… they seem to be always strawberry-flavored. My worst experience with one of those suspensions was the one that made me feel so awful after drinking it that I think I puked. Why do I say “think”? Well, I can’t exactly remember it clearly for I was very dizzy, and disoriented then. I was very sick, you know. But yes, the vague memory of those events, coupled with the scent and taste of the strawberry medicine does not give me wonderful cravings for that stuff. I do not completely hate on the flavor. I have tried some good strawberry-flavored stuff – like ice cream. It was delicious. However, I still try to avoid the chewy, strawberry-flavored candies, for they seem to strongly remind me of the medicine. 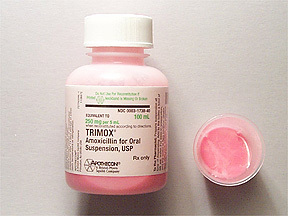 Edit: After looking up some photos, I am no longer sure if the Amoxicillin suspension, which I recall as the worst strawberry-flavored medicine I had, is actually strawberry-flavored. I must have associated the pink color with strawberry, making me now hate on strawberry. Ah, the human psychology! Posted in Feature, Life.Tagged medicine, memories, nostalgia.